Hydrocodone has a high abuse potential across all age groups. According to the NIDA, “Commonly abused classes of prescription drugs include opioids (for pain).” Hydrocodone is one of the most commonly abused opioids, usually in the form of Vicodin (which contains hydrocodone and acetaminophen). 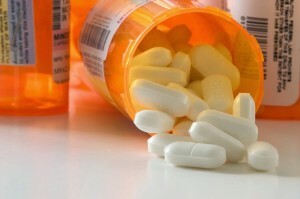 The DOJ states, “Hydrocodone is a Schedule II narcotic that is marketed in multi-ingredient Schedule III products.” This means that, although hydrocodone on its own has a higher abuse potential, it is most often sold and marketed with other products that make it a Schedule III substance. Hydrocodone is usually taken orally by abusers and not injected or crushed and snorted like some other opioids are. The danger of hydrocodone especially is that it is often marketed with acetaminophen, ibuprofen, or other drugs that can damage the liver and kidneys when taken in excess. This, coupled with the fact that hydrocodone itself can cause respiratory depression and can be habit-forming when abused, makes the drug’s abuse even more dangerous to a person’s health. Where Do Abusers Obtain Hydrocodone? Abuse of hydrocodone is all too common. People who abuse hydrocodone get the drug from many different places. Some perform an activity called doctor shopping, where they go to many different doctors and get prescriptions, obtaining much more of the drug than they should have. Others may steal prescription sheets or drugs from doctors’ offices, clinics, or hospitals. Another common way abusers obtain hydrocodone is by faking prescriptions. acquaintances.” There are many ways that a person can find and abuse hydrocodone, and many times, it is just as easily found in someone’s medicine cabinet. Hydrocodone is a very available drug which makes it highly susceptible to abuse. Hydrocodone abuse is very common, but how do we know exactly how many people are abusing the drug? As stated by the DOJ, “In 2013, there were 34,961 hydrocodone reports identified in the NFLIS and STRIDE systems.” Both groups can be used to identify the number of cases involved with a specific drug. Hydrocodone abuse has had “a decrease from 41,401 reports in 2012,” but its illicit use is still very high. While all age groups can be affected by hydrocodone abuse (from teens to the elderly), its abuse is not just limited to one social group either. “Sometimes viewed as a ‘white collar’ addiction, hydrocodone abuse has increased among all ethnic and economic groups.” Hydrocodone abuse is fairly common in people from all backgrounds, economic situations, and ages.